Small folding step for fire trucks and other firefighting vehicles. 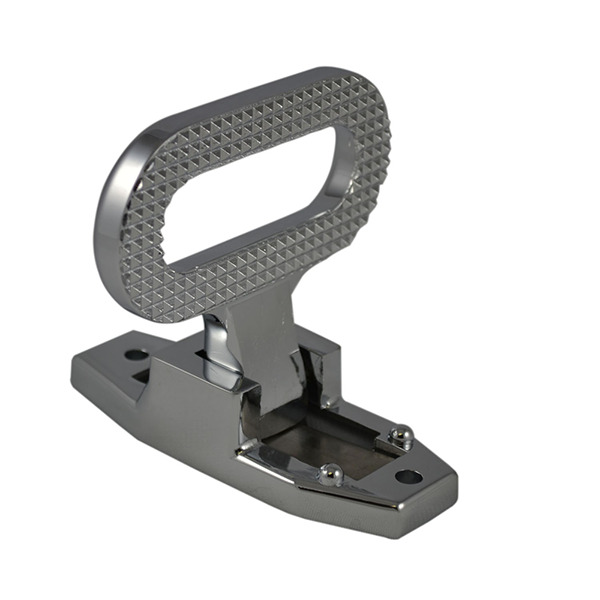 Step is made of die cast zinc alloy for strength and features a chrome plated finish. A spring holds the step in either the open or closed position.